Planting bulbs in the fall is an investment in the future. You know your hard work will be rewarded in spring, when Tulips, Daffodils, and Hyacinths burst into bloom. Protect that investment with FoxFarm's specially formulated Bulb Food. It's designed to support gorgeous flowers and a long blooming season. 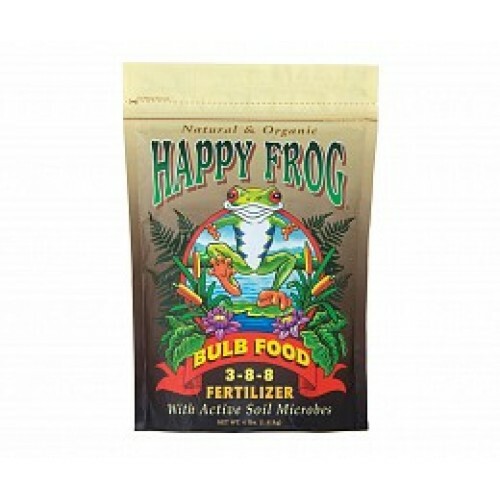 Bulb Food is pH-balanced with premium organic ingredients like bone meal, bat guano, kelp meal, feather meal, and humic acid, a naturally occuring organic material that is formed when organic matter decomposes. Humic acid helps with seed germination and may increase the uptake of important micronutrients. Packed in a resealable plastic bag.